Dr. Kevin Cullen from the Greenebaum Cancer Center and Michael Greenebaum, founder of the race, explain why over 2,000 people and Gov. Larry Hogan are pledging their support for this year's Maryland half Marathon and 5K, to fight cancer. 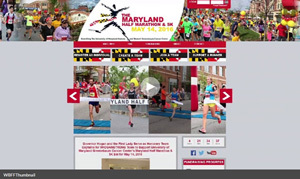 To learn more about the Maryland Half Marathon & 5K, visit www.mdhalfmarathon.com.